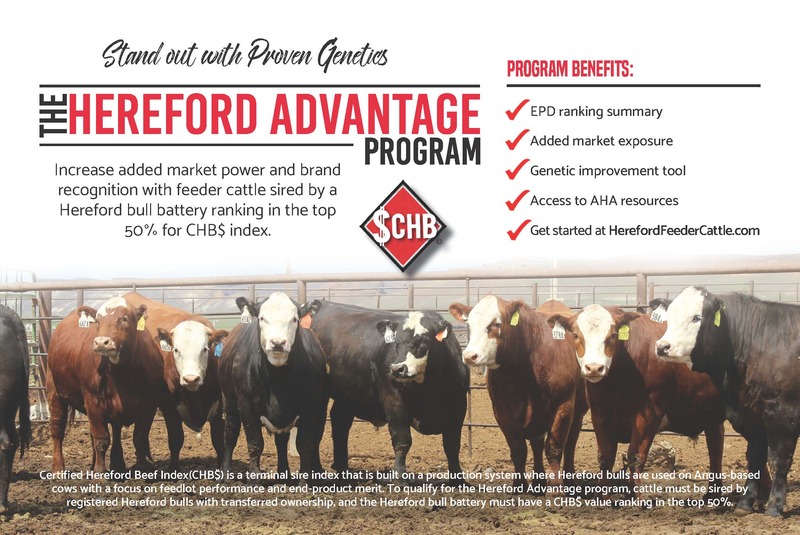 Increase added market power and brand recognition with feeder cattle sired by a Hereford bull battery ranking in the top 50% for the $CHB index. Registered Hereford bulls with transferred ownership. 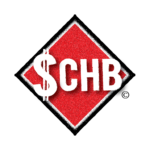 Hereford bull battery average $CHB index* value ranking in the top 50% of the breed. *The Certified Hereford Beef Index ($CHB) is a terminal sire index that is built on a production system where Hereford bulls are used on British-cross cows with a focus on gain and end product merit. CLICK HERE to enroll and view current listings. 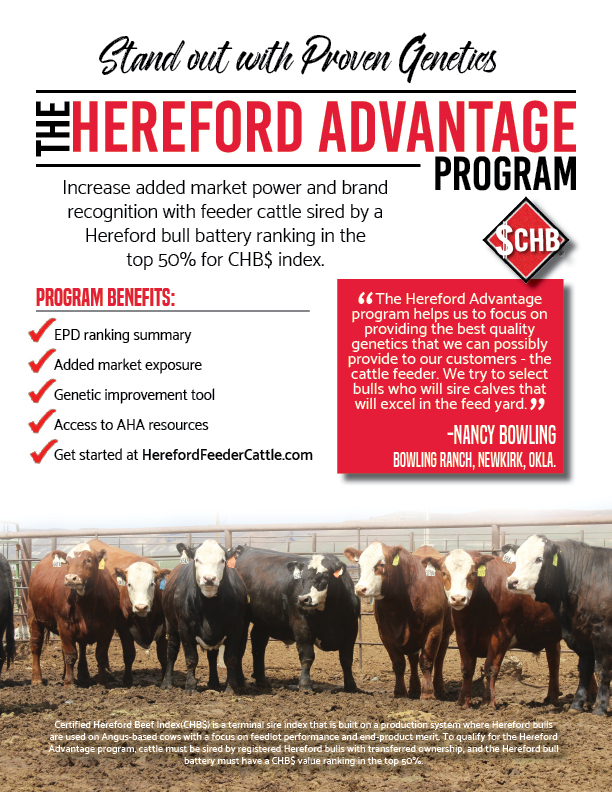 For more information or questions, call 816-842-3757 or email tbefort@herefordbeef.org.